Spycraft: how do we fix a broken NSA? Can a toy robot teach kids computer programming? How did the chicken become the world's favorite bird? After dumping the penny last year, Canada is taking another step towards the fiscal future with the launch of the world's first publicly-accessible Bitcoin ATM next Tuesday. As Wired reports, the landmark machine will be installed outside of a coffee house in downtown Vancouver, allowing members of the public to exchange their Canadian Dollars for Bitcoins, or vice versa. Machines that exchange physical currency for Bitcoins have made quite a few appearances at industry shows and conferences, and there's more than one company attempting to put Bitcoin ATMs in public places. The machine to be installed in Vancouver this week comes from Nevada-based Robocoin. To comply with Canadian law, the machine will check your identity using palm prints, photographs, and ID verification, and will only allow for a maximum of CAD$3,000 (around $2,700) worth of transactions per user per day. 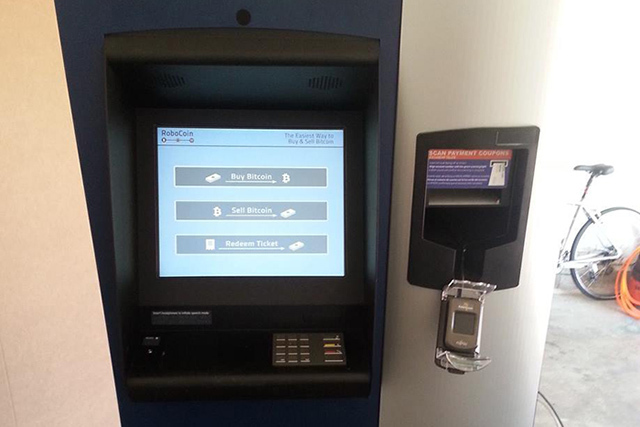 Bitcoiniacs, the company responsible for bringing the ATM to Vancouver, has purchased five of Robocoin's machines and hopes to launch the rest in "other locations throughout Canada" soon. Unlike the one-day-only appearance of a another ATM at a San Diego hotel, all of Bitcoiniacs' machines are intended to be permanent. » Already registered with The Verge? Log in! Something to say? Choose one of these options to log in. [POLL] Are you an iPhone User thinking about switching? What if the "Big Three" wasn't just three anymore? Nexus 5... Worst kept smartphone secret? "Why the Brain Prefers Paper"
Any of you Nexus 4 owners upgrading to N5? Nexus 5 Real Dimensions Finally Revealed? Trying to understand OSX's Activity Monitor and how cores are monitored. © 2013 Vox Media, Inc. All rights reserved. Designed in collaboration with Code and Theory.